Girl is NOT a 4 Letter Word: Courtney from GRO in Lucky Magazine! Courtney from GRO in Lucky Magazine! How cool is this? 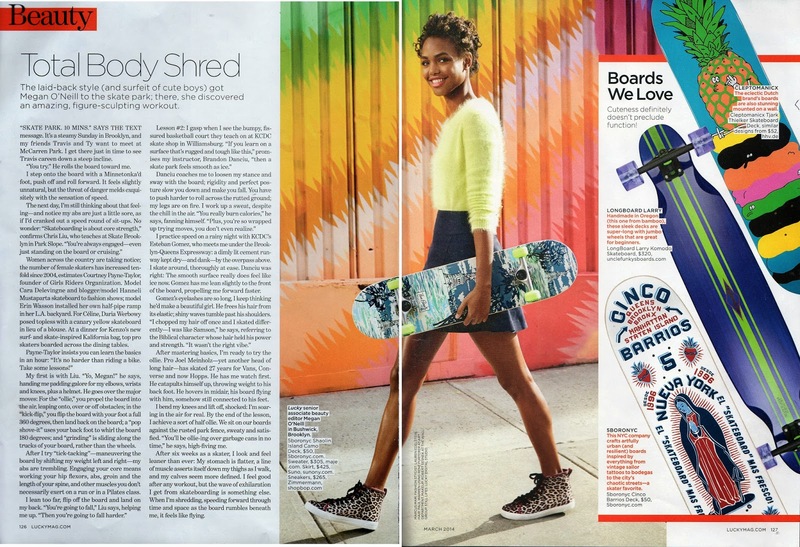 Courtney from GRO is quoted in this months LUCKY MAGAZINE about girls in skateboarding and is encouraging Lucky's beauty editor, Megan O'Neill to get on a board, take a lesson & for for it! Go Courtney!! As you may know the Dusters x Girl is NOT a 4 Letter Word skateboard gives a portion of it's profits to GRO. We continue to be big supporters of Courtney & her non-profit GRO and what she id doing out there to get girls skating.